iMagic - image studio - means ability to add interesting thematic visual effects to your photo, add unique fonts for all occasions, memorable frames, funny special design objects, photo effects, photo filters and others. You have a great opportunity to share your love and friendship with iMagic. iMagic - image studio - the first application for mobile phones, which offers the opportunity to make an image or picture on every occasion of life, including Valentine’s Day. Catalogs of frames, visual effects, fonts, photo effects, funny special design objects are updated and added every week. Visual effects: snow life, icicles, snowstorm, magic, smoke, fire, rain, bubble and others. Funny special design objects are compiled and selected thematically –Valentine's Day, Birthday, Holiday, etc. Wide range of original fonts, including Love, Romance, Comic, and many others allow you to make unique signatures for memory. Various photo effects and photo filters help to add to your photos a variety of colors and paint. Frameset for every taste and color will leave nobody indifferent. With iMagic you never get bored and will spend time having fun and being excited, editing a photo or image, saving it on your phone or sending mail to a friend or your loved one via e-mail, MMC, or sharing it on Facebook. Use your imagination! Create! Enjoy! Fantastic Drawing application for all HD devices. Drawing Tablet HD PRO is an intelligent software to maximize the drawing ability of android tablets and smartphones. Finger Paint: Draw with your finger using different types of pencils and paint effects. Drawing Art: Draw with more than 500 backgrounds and HD cliparts with fantastic effects. Fx: create your own special effects combining all types of particles, colors and animations. Physics Engine: build your own game using different solid balls and animated objects with real physical behavior. Fast, convenient and cool way to protect your mobile with face recognition. Protect any application (i.e. SMS, Gallery, E-Mail, Facebook, etc.) on your phone using face recognition. Convenient and cool way to increase safety of your private apps and content. 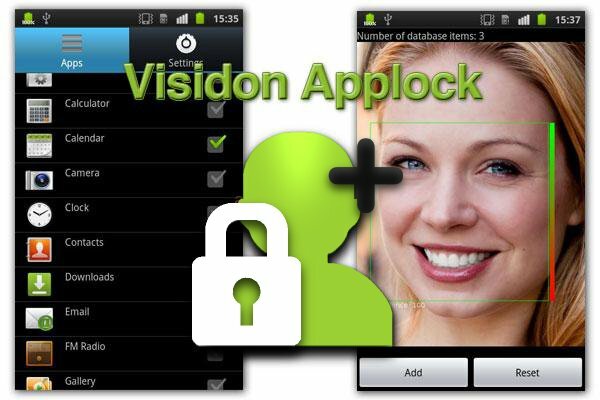 Visidon AppLock Plus lets you choose the apps to be protected. Your face is a key to open them! 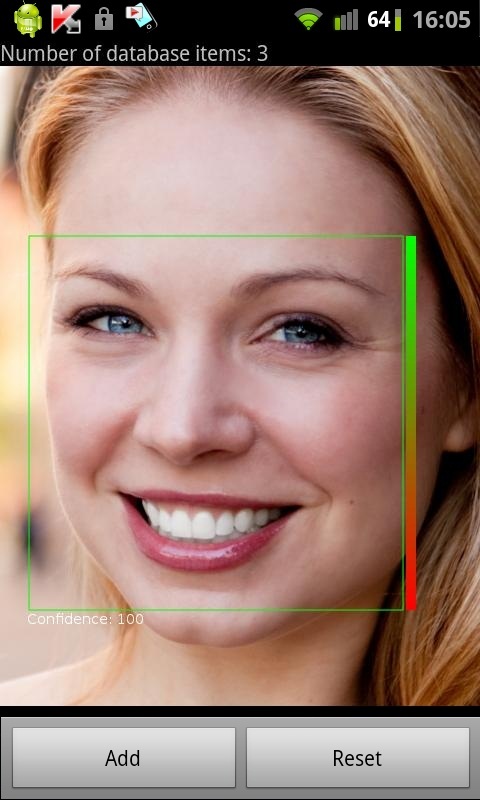 Application uses the frontal camera of your mobile and verifies in real-time that the face matches the one allowed to access the private apps. Added new new low threshold level to liveness detection. Use this, if the previous system was too hard to use. Tasker/Locale integration! You can now trigger service to enable and disable through these automation apps. Added option to take bypass-button off the verification screen. This will make it more secure and cleaner looking. Fixed annoying bug that caused glitching if the app was updated from older version. If this does not help, then just wipe the app data or do a clean install. 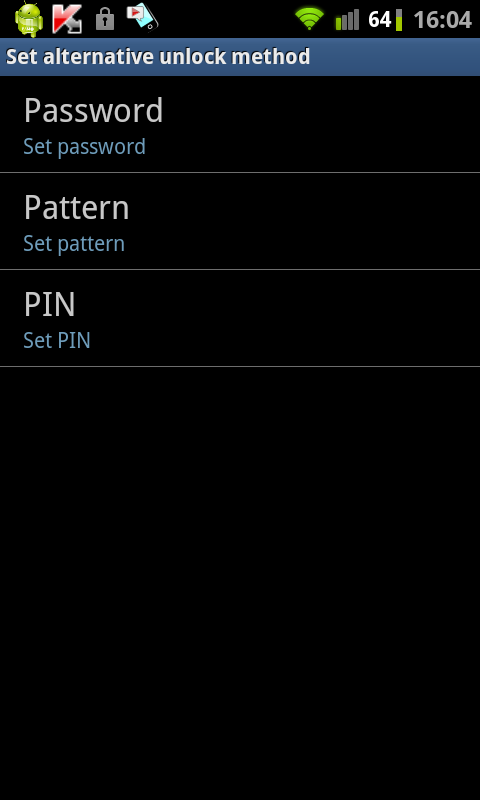 Pattern and PIN as alternative unlocking methods! Haptic feedback for all alternative unlocking methods! 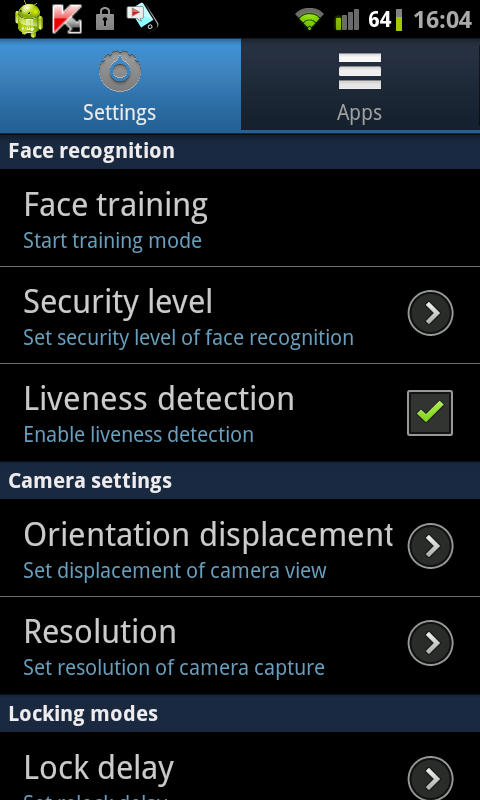 Liveness detector, which guards against photograph spoofing! More extra features in future versions! This is an experimental beta feature. You should also use the default AppLock feature (check the most important apps from the applist) to counter possible security holes. You can set the Keep unlock status option, so you do not need to verify yourself again when you are accessing a particular app if you have done the verification in the lockscreen. 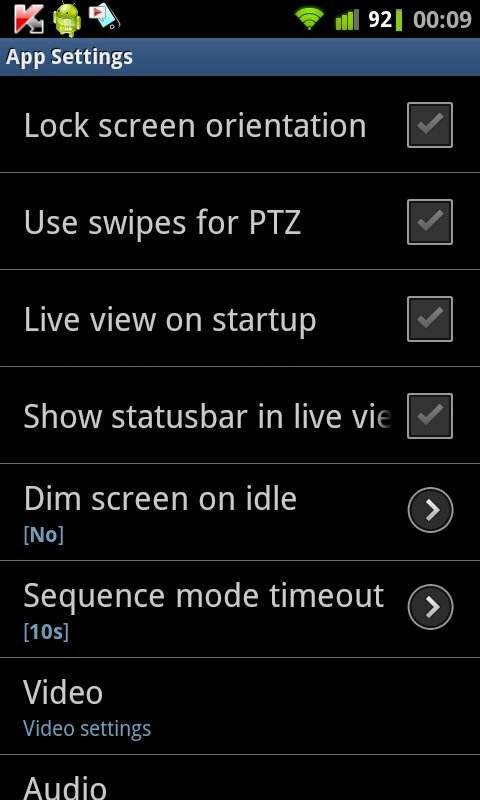 Note that this option will enable lockscreen features (disabled Home button etc.) also in default AppLock behavior. Also, this feature does not include an option to make an emergency call, so use it at your own risk. You must have a front facing camera in your device to use the face recognition feature. Otherwise it is disabled and you are only able to use password verification. In addition to the applications you wish to protect, you should also add Visidon AppLock Plus itself and any application that can be used to close or unistall applications or services (task manager, settings etc.) 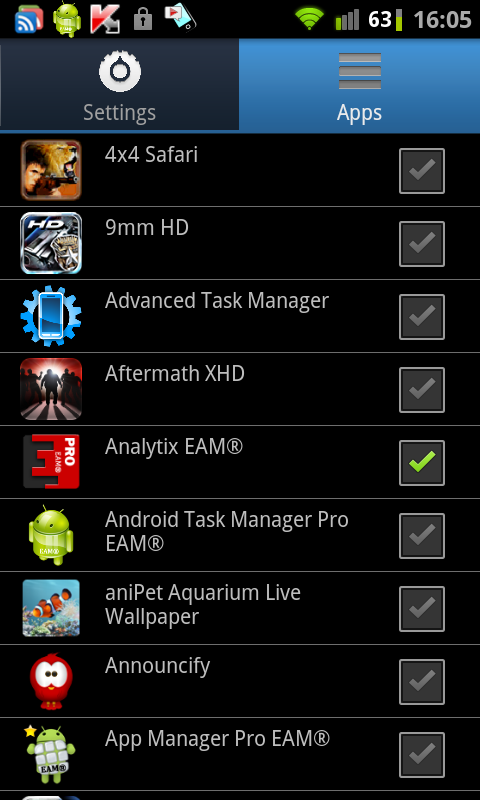 as well as any application that can be used to install new applications (market, myfiles etc.) to the protection list to get your mobile fully secured. If the preview image is upside down or sideways, please try the "orientation displacement" -setting. The default security level is medium. If it seems too low (i.e. 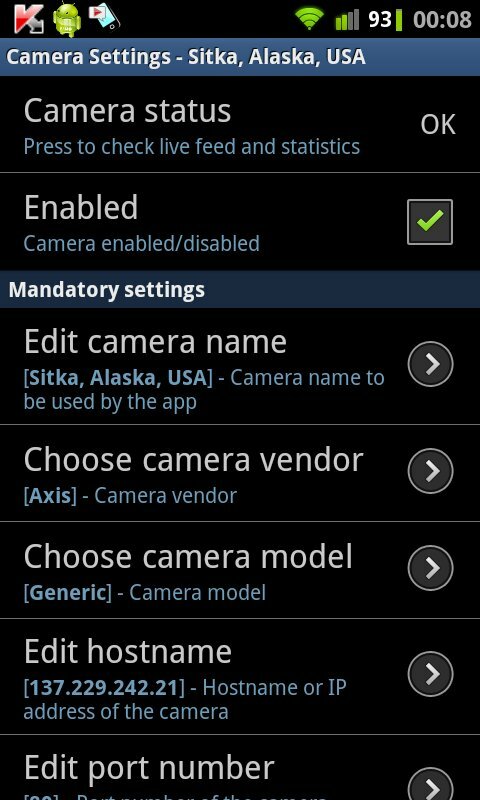 other people can get in too easily), you can set it to maximum from the settings tab. 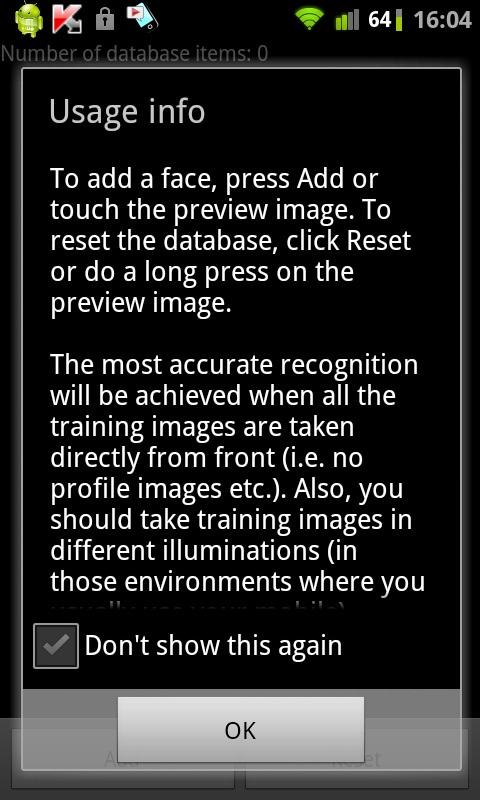 The most accurate recognition will be achieved when all the training images are taken directly from front (i.e. no profile images etc.). Also, you should take training images in different illuminations (in those environments where you usually use your mobile). 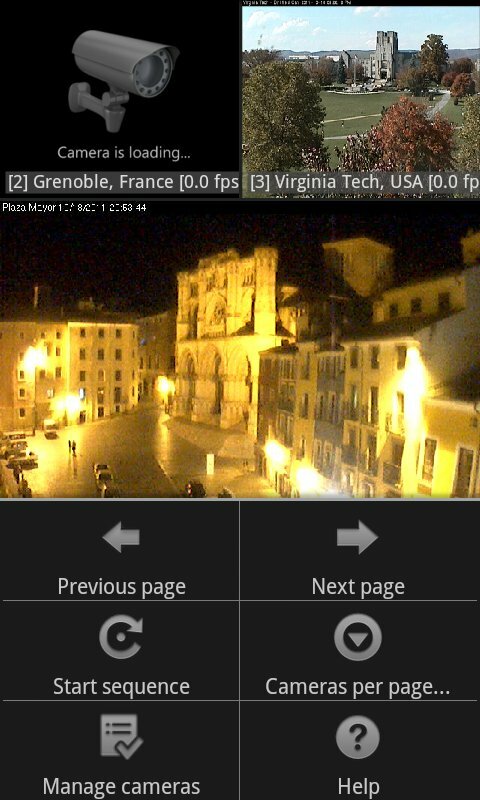 Sufficient amount of images per person is about 5 to 10. If you aren't using official release of Android, we cannot guarantee compatibility! If there is something wrong with the app, please consider sending us email and explaining the situation, so we have a chance to correct it. 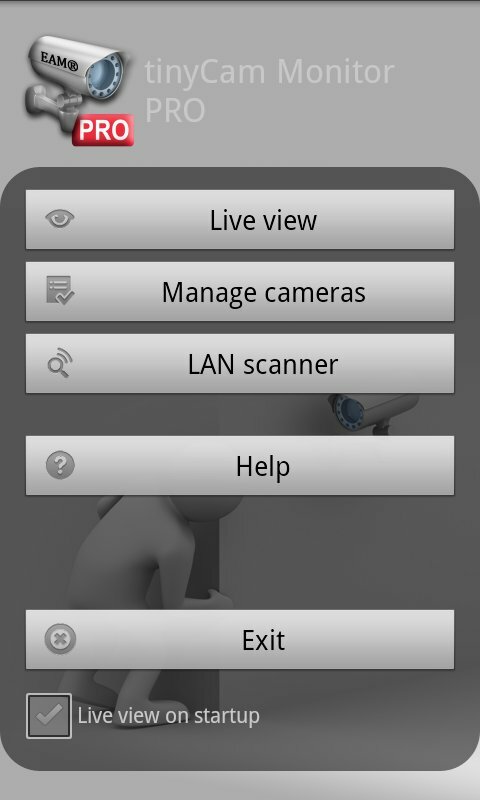 This application requires Android v2.3 at minimum, because frontal cameras are not supported in previous versions. ✯ Ice Cream Sandwich strawberry HD Lockscreen! ✯ Support alarm clock information. ✯ GO Locker ICS Pink Theme, design for GO Loker EX, is available now! Choose the theme "ICS Pink"